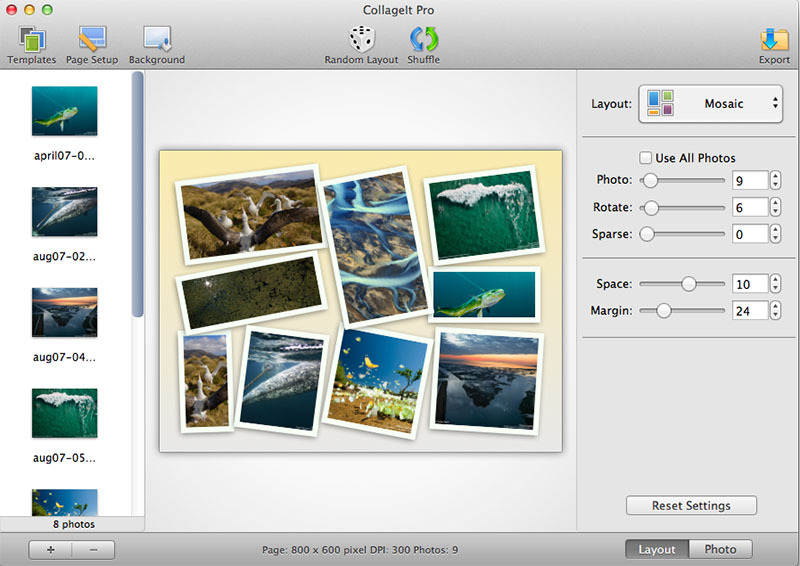 CollageIt for Mac is an easy-to-use and automatic software that helps you create eye-catching photo collages on Mac OS X. It was designed to give everyone an opportunity to brighten up one's photo collection, and in a few seconds, a set of photos will be turned into an impressive array of collages. With CollageIt for Mac, collage creation is effortless. 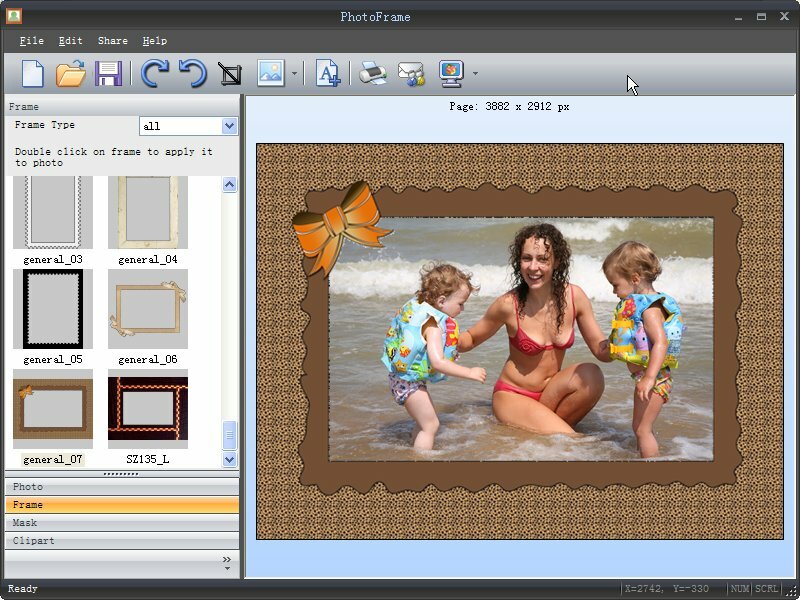 Choose a collage template from 4 collage styles (Mosaic, Grid, Center, Pile ), including 30+ templates, which have been professionally designed, add photos, the photo collage can be generated automatically. 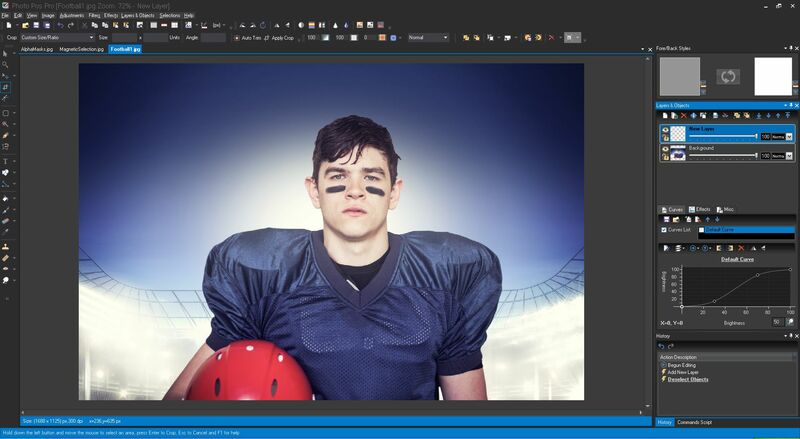 Click Random Layout to generate different collage layouts until you get the most stunning collage layout as you wish. What's more, you are able to personalize the photo collage at your convenience. After you make your favorite collage, you can export it and share with your friends and families.